currently under construction at 400 The East Mall, Toronto. The development is scheduled for completion in 2020. 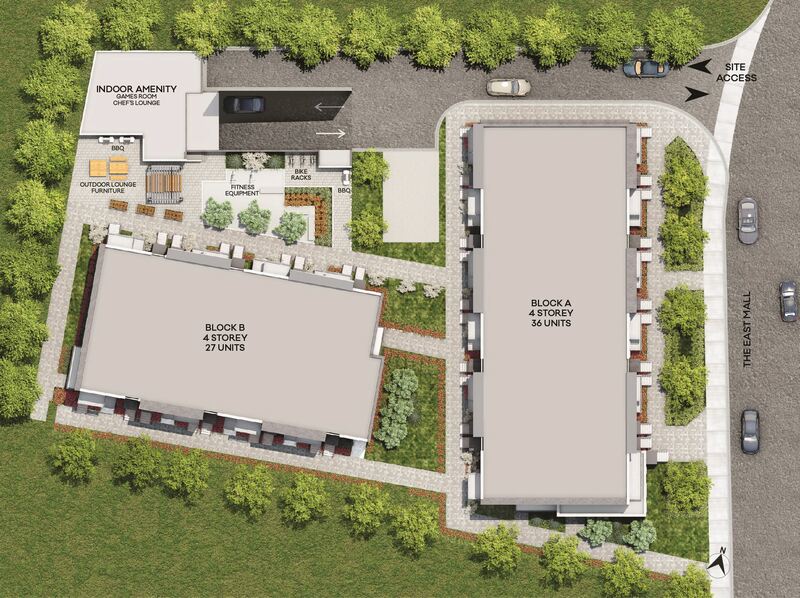 Sales for available units range in price from $414,900 to over $979,900. 4HUNDRED EAST MALL Stacked Town Homes has a total of 62 units. Sizes range from 500 to 1400 square feet. A new haven in Etobicoke is coming soon. connects you to the city you love. Located at 400 The East Mall and Burnhamthorpe, this location offers you the convenience of getting around the city, into the downtown core, or out of town, with ease. I represent what’s coming, a transformation. I am located by some pretty cool spots in the city I love. I’ll turn heads with my raw wood and black brick exterior giving me a modern, urban look. I’ve got historic roots but I’m always looking forward. I enjoy the natural beauty of nearby parks and walking trails. I’m eager to be steps away from schools, community centres, libraries, and prime shopping. I’ll access transit quickly and live in a location within minutes of an international airport. 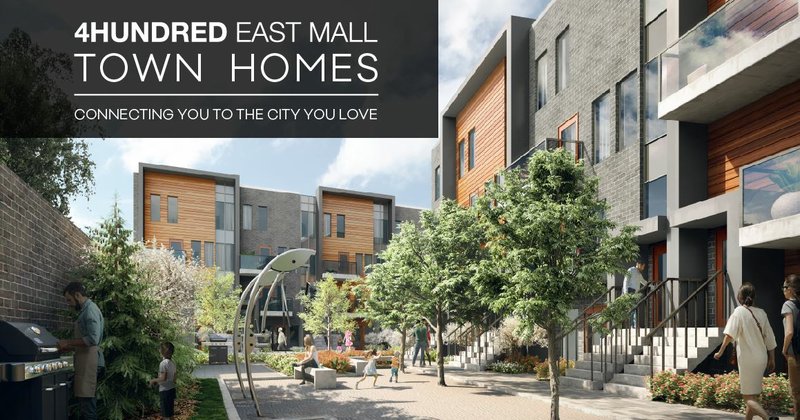 4HUNDRED EAST MALL TOWNS connect you to the City you love. 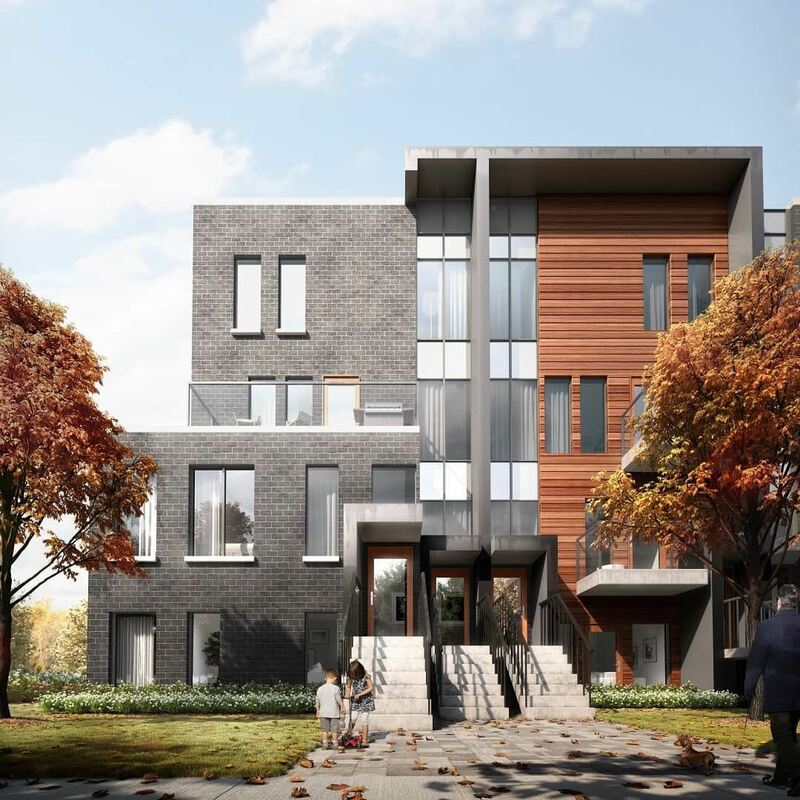 A new haven in Etobicoke, this location offers you the convenience of getting around the city, into the downtown core, or out of town with ease. 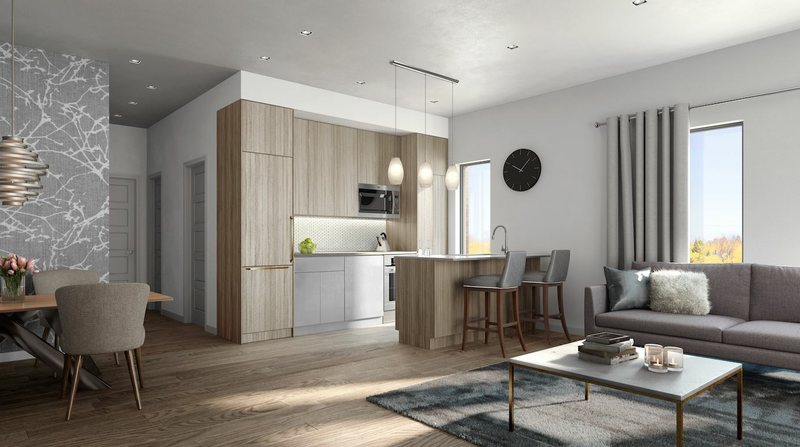 Get connected to a growing neighbourhood that is highly accessible. Go anywhere you want from here. Modern and innovative elevations featuring outdoor finishes, window surrounds and precast sills with vinyl or metal accents as per applicable plan. Maintenance-free aluminum soffit, fascia, eavestroughs and downspouts as per plans. Front Entry Door package including gripset with deadbolt lock and house numbers. Maintenance free low-E thermal insulated windows for energy savings. Balconies and terraces with railings complete with glass inserts, as per plan. One level, secured underground parking garage. Professionally landscaped grounds maintained year round. 9’ foot ceiling heights subject to bulkheads as required. Classic 3” baseboards with 2” casings. Mirrored sliding closet doors on entry closets with sliding doors as per plan. 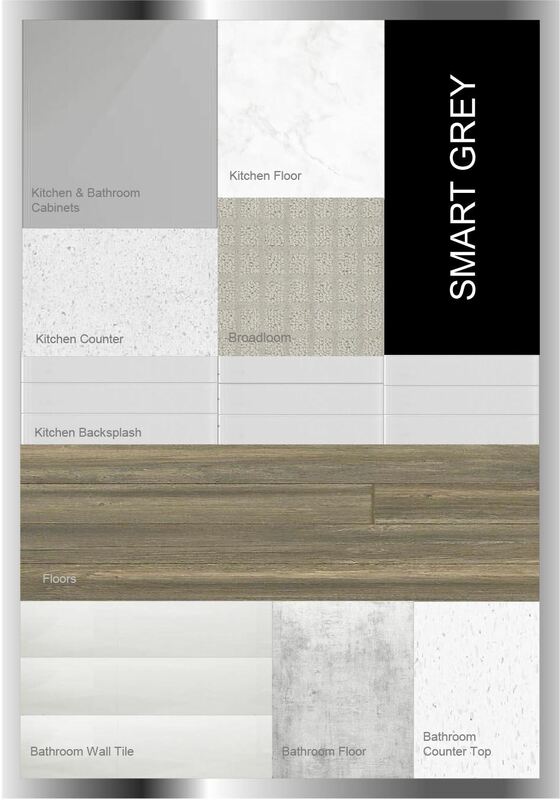 Choice of laminate or ceramic tiles in kitchen, choice of ceramic tiles in bathrooms. 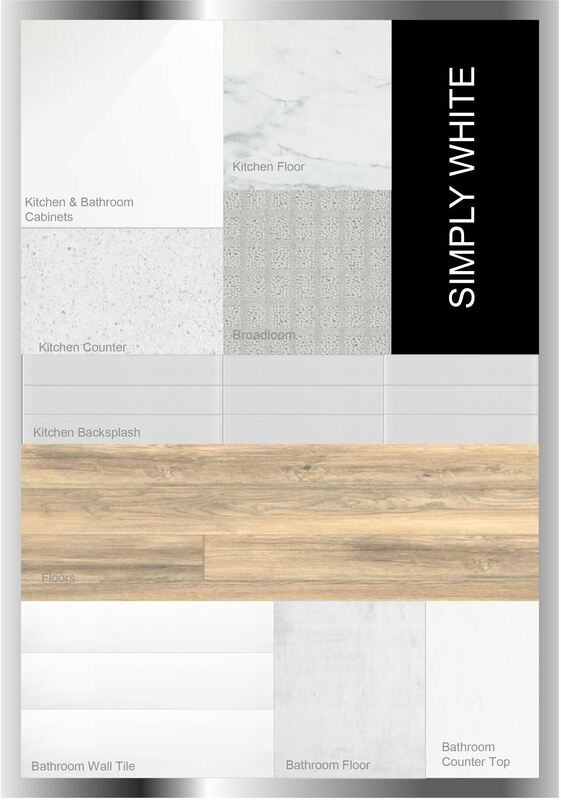 Choice of laminate flooring or 35 oz. broadloom with underpad in open areas and hallways that are on the same level. Choice of 35 oz. broadloom with underpad for bedrooms, loft areas and staircases. Solid wood handrails on stairways as per plan, in natural finish. Vinyl-coated wire closet shelving as per plan. Choice of traditional and contemporary designed cabinetry in a variety of finishes. 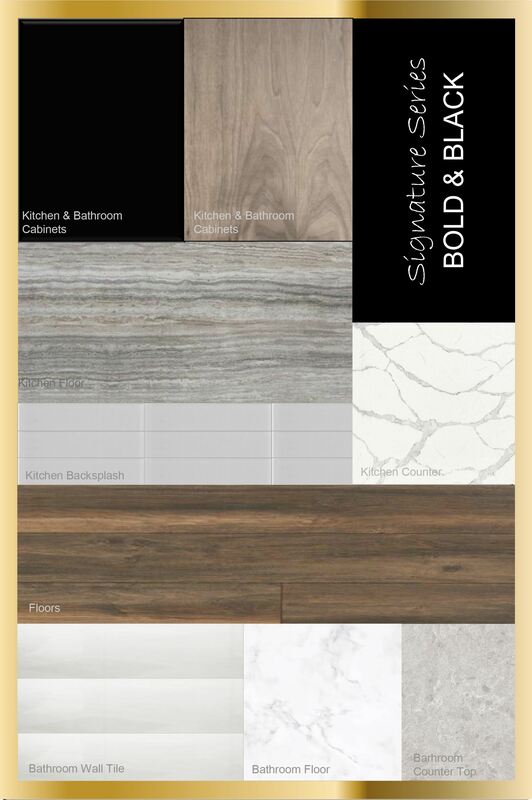 Choice of builder’s standard quartz counter tops. Single bowl or double bowl (where possible) stainless steel sinks with single lever faucet and integrated vegetable sprayer. Stainless steel over the range built-in microwave with integrated exhaust fan. White stacked washer and dryer. Choice of elegant ceramic tiles for tub wall surrounds to ceiling height. Builder standard selection of quartz vanity countertops with single bowl sink and matching single lever faucet. Privacy locks on bathroom doors. 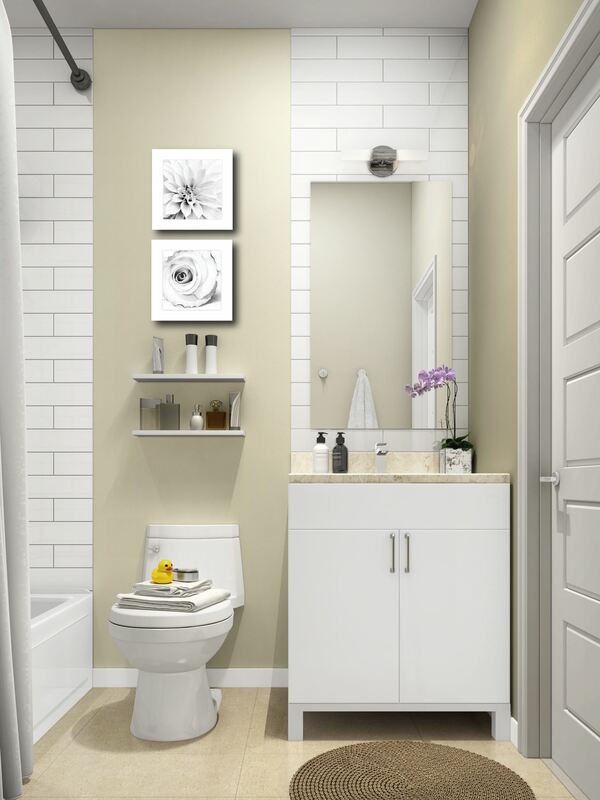 White ceramic accessories including towel bar and toilet tissue holder. Cabinet width mirror above vanity sink. Individually controlled gas fired heating unit. Individually controlled central air conditioning. Rental high efficiency on-demand hot water tank. Ceiling light fixtures provided in the entry, kitchen, and bedrooms as per plan. White toggle switches, receptacles and cover plates. Ground fault (GFI) electrical outlets in all bathrooms and kitchens, where applicable, as per code. 100 amp service panel with circuit breakers and copper wiring throughout. All units pre-wired for cable outlets in living room, and master bedroom. All units pre-wired for telephone and data (Cat 5)on first and second level (if applicable) of unit. All exhaust fans vented to the exterior. Carbon monoxide and fire protection devices provided as per code. The warranty provided is pursuant to the Ontario New Home Warranty Plan Act. All finishes to be chosen are as per plan and shall be chosen from a selection of Vendor’s standard samples. All features and finishes are subject to change without notice. Please note: The ceiling heights stated are approximate. The height is measured from the upper surface of sub-floor. Where ceiling bulkheads are installed or where drop ceilings are necessary such as kitchen, foyer, closets, bathrooms, laundry rooms and hallways, the ceiling height will be less than 9’. All colours and finishes are to be selected from Vendor’s standard selections. 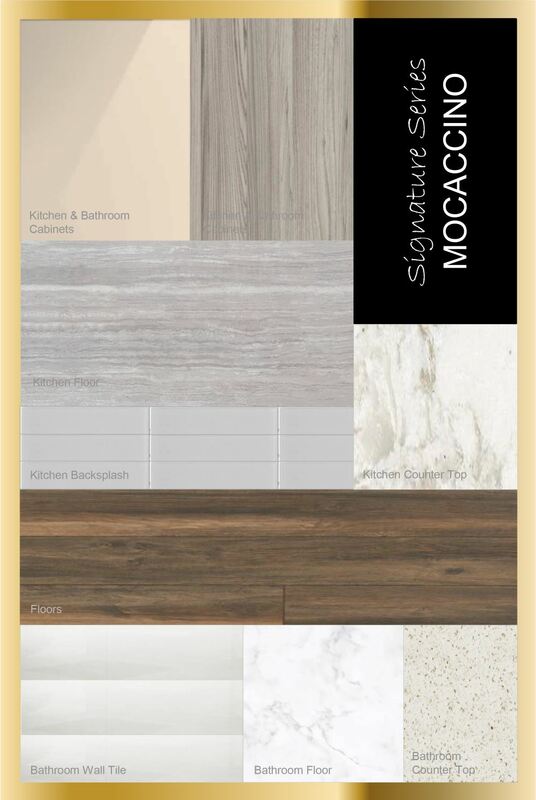 All available features and finishes are as per plan and may vary from suite to suite. 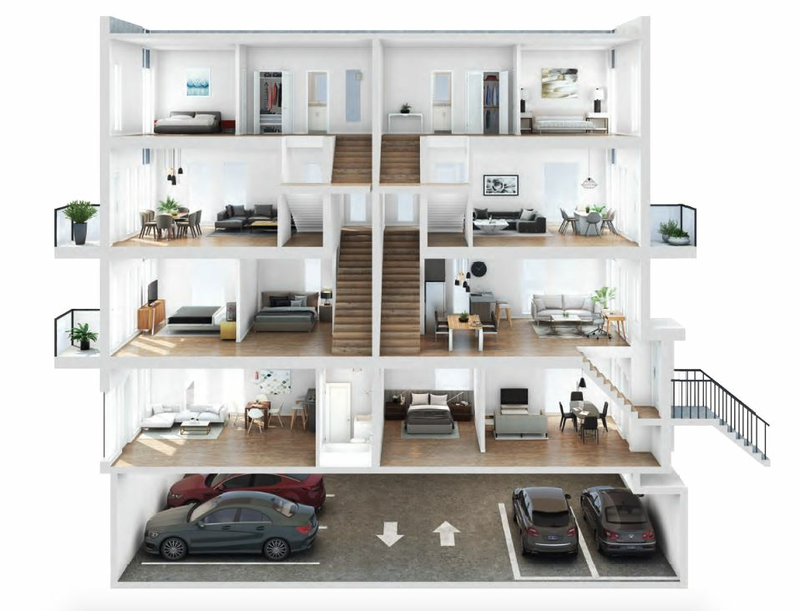 Closets and storage areas located under stairwells may have limited headroom. Prices and specifications are subject to change without notice. All areas and stated room dimensions are approximate. Floor area measured in accordance with Ontario New Home Warranties Plan Act. Actual living area will vary from floor area stated. Builder may substitute materials for those provided in the plans and specifications provided such materials are of quality equal to or better than the material provided for in the plans and specifications. Decorative and upgraded items displayed in the sales office are for display purposes only and are not included in the purchase price. Your inquiry will be delivered to the 4HUNDRED EAST MALL Stacked Town Homes sales team, who will send you more information about this development.